The Palestinian community in Brazil called on the PA leadership in Ramallah to halt the "futile" negotiations with the Israeli occupation, and to adopt the option of resistance in all its forms in order to achieve the Palestinian rights. The community criticized the insistence of the PLO leadership to resume the negotiation process, which has proven its failure, as it has only led to more settlement construction, more arrests and killings. It warned in a press release on Tuesday against U.S. Secretary of State John Kerry's tours in the Arab region, which "aim to impose submissive solutions and to liquidate the Palestinian cause"; taking advantage of the Arab official and popular silence and the Palestinian division. It has also called for "adhering to the Palestinian national rights; represented in the right of return, self-determination and the establishment of a Palestinian state with Jerusalem as its capital, as inalienable rights, and refusing Kerry's plan that aims to cancel the right of return." The Palestinian community in Brazil and its institutions urged the PLO leadership to stop the negotiations that harm the Palestinian national project, and to open the doors before all forms of resistance as a right endorsed by the international legitimacy. 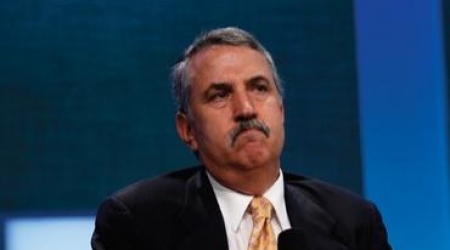 Thomas Friedman, New York Times columnist predicted on Wednesday that Israel is facing third Intifada. "Being here( he means Ramallah), it’s obvious that a Third Intifada is underway. It’s the one that Israel always feared most — not an intifada with stones or suicide bombers, but one propelled by nonviolent resistance and economic boycott,” he said. Friedman explained that the Intifada will be led "by the European Union in Brussels and other opponents of the Israeli occupation of the West Bank across the globe. Regardless of origin, though, it’s becoming a real source of leverage for the Palestinians in their negotiations with Israel." He mentioned two examples of the economic boycott represented in the withdrawal of the Netherlands' largest pension fund management company, PGGM, of all its investments from Israel’s five largest banks because they have branches in the West Bank and/or are involved in financing construction in the settlements. In addition to Denmark's largest bank which decided to blacklist Bank Hapoalim because of its involvement in the funding of settlement construction. Friedman remarks that current calls by Israel for measures of security may be falling on deaf ears as this intifada employs a "strategy of making Israelis feel strategically secure but morally insecure." He stated that If Israel really wanted to slow down the boycott campaign, it would declare that as long as Kerry is trying to forge a deal, and there is hope for success, Israel will freeze all settlement activity to give peace its best chance. In a statement Tuesday, The Jerusalem Post reported that Hamas representatives reinterated their opposition to the peace talks with Israel, claiming that the talks were aimed at "liquidating" the Palestinian cause. Hamas official Salah Bardaweel reportedly stated that Palestinians will not accept any agreement that Palestinian Authority President Mahmoud Abbas signs with Israel, and criticized Abbas for telling The New York Times earlier this week that he would agree to the establishment of a demilitarized state. "Such statements are a preface for liquidating the Palestinian cause and preventing the right of return for Palestinian refugees," Bardaweel said. "The biggest disaster would be to recognize Israel as a Jewish state. 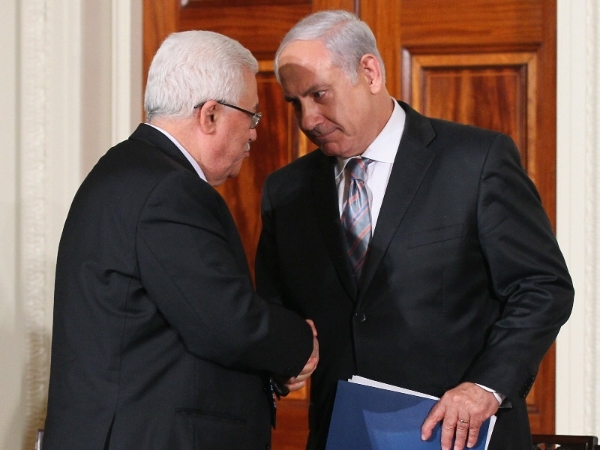 This would pave the way for the expulsion of more Palestinians from their historic land." Senior Hamas official, Wasfi Qabaha, also criticized Abbas for saying that he would agree to the deployment of US-led NATO troops in the future Palestinian state. "Such a move would mean capitulation to Zionist-American pressure and extortion," Qabaha said. 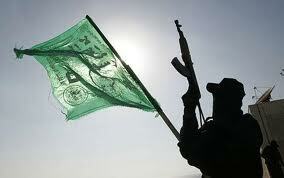 "The presence of foreign troops in a Palestinian state would harm its independence and sovereignty. This would be a new Israeli occupation under a different label and shape." In addition, a senior Islamic Jihad official threatened that his group would foil any agreement between the Palestine Authority and Israel. French newspaper Le Figaro quoted Ahmed al-Mudalal as saying that his group is completely opposed to the peace talks and would destroy any agreement that "legalizes Zionist occupation in Palestine." In related news, Hamas and Islamic Jihad accused the PA security forces of arresting 10 of their supporters in the West Bank in the past 48 hours. Israeli occupation government rejected on Tuesday the Palestinian – American drive to activate the tripartite committee to address incitement and education toward peace both in Israel and the Palestinian Authority, Israeli newspaper reported. Israeli strategic affairs minister Yuval Steinitz made clear to American that " the condition for participation in such a committee would be a Palestinian confidence measure , such as deleting incitement content from official PA websites," senior Israeli sources reported to Haaretz. Palestinian National Authority called more than once to convene the tripartite committee which existed during the early Oslo years but has been inactive for more than a decade . U.S. envoy George Mitchell decided to stop addressing the issue, believing it would only intensify the blame game between the two sides. Now, however, American peace process envoy Martin Indyk and other American officials made clear to Netanyahu and Steinitz that they support forming such a committee and believe it could be helpful. Steinitz refuted the Palestinian- American initiative , claiming that there is no symmetry between the systematic official Palestinian Authority incitement, and the Palestinian claims of Israeli incitement against them.
" Setting up such a committee would just allow the Palestinians to avoid dealing with the issue themselves ," Steinitz arguing. 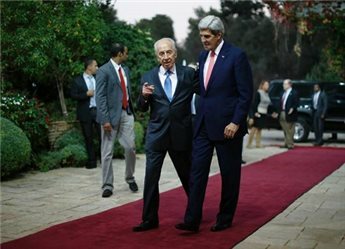 Israel's President Shimon Peres Tuesday praised John Kerry's peace efforts, after Israeli hawks attacked the top US diplomat for warning of a growing boycott threat. "We thank (Kerry) for his efforts. We encourage him and hope to soon achieve positive results," Peres said in remarks broadcast on military radio after two days of verbal attacks against the US secretary of state by Israeli cabinet ministers. The outburst occurred after Kerry warned on Saturday Israel was facing a growing campaign of delegitimization which would worsen if peace talks collapsed, referring also to "talk of boycotts." Cabinet ministers were quick to lash out, describing Kerry's comments as "offensive, unfair and intolerable," and implied Washington was not doing enough to counter "anti-Semitic boycott attempts." The US State Department hit back, flagging Kerry's "staunch opposition" to boycotts, and urging his critics to get their facts straight. On Monday, Prime Minister Benjamin Netanyahu sought to calm the situation by acknowledging Kerry's opposition to boycotts and warning his right-wing Likud faction against "personal attacks." But late on Monday, US President Barack Obama's National Security Adviser Susan Rice also weighed in on the dispute in several postings on Twitter. "Personal attacks in Israel directed at Sec Kerry totally unfounded and unacceptable," she wrote. "US Govt has been clear and consistent that we reject efforts to boycott or delegitimize Israel." 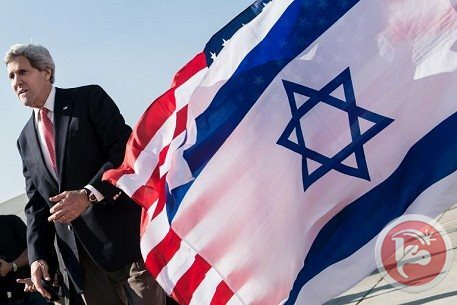 Last month, Kerry was subjected to a personal attack by Israel's Defense Minister Moshe Yaalon, who accused him of having a messianic "obsession" with Middle East peace, before being forced to apologize. The spat underlined the estrangement between the longtime allies which has already seen angry public rows over Iran policy and Israel's defiant drive to expand its settlements in the midst of nine-months of peace talks, which are due to end in April. Hamas spokesman Sami Abu Zuhri strongly denounced de facto president Mahmoud Abbas for his recent press remarks to a US newspaper and said that the views he expressed pose a threat to Palestinian cause and only represent himself. Spokesman Abu Zuhri stated that the ideas that were voiced by Abbas in press remarks to the New York Times newspaper do not reflect the national consensus which rejects the negotiations and any solution against the Palestinian rights and constants. Abbas told the New York Times on Monday that he refuses demands made constantly by Palestinian parties to join some UN bodies or go to the international criminal court, adding that he wants to exhaust his negotiation with the Israelis before making any such move. Palestinian Authority President Mahmoud Abbas said he would be willing to allow a US-led NATO force to patrol a Palestinian state for an indefinite amount of time, adding that the Israeli army and settlements could remain for five years rather than three years as he had told the Americans before. Abbas also said the Palestinian state would be demilitarized and have only a police force and the NATO force, affirming that he would not allow the return of the armed struggle in the Palestinian state. He called recognizing Israel as a Jewish state out of the question and said he would agree on extending the nine-month negotiations, which started in July last year, if progress was made. The U.S. State Department said in a statement Monday that the framework agreement for final-status talks between Israel and the Palestinian Authority will not be presented to the sides in the near future. Jen Psaki, Spokeswoman of the US State Department lashed out at Israel over its criticism of US Secretary of State John Kerry's implications that Israel could face increased isolation if negotiations fail. On a related context, US President Barack Obama's national security advisor, Susan Rice, said in a tweet on her account, that the "personal attacks" directed at Kerry were "totally unfounded and unacceptable." Rice confirmed that Kerry's "record of support for Israel's security and prosperity" was "rock solid." Adding that both Obama and Kerry remain committed to negotiating a peace deal that would secure the futures of both Israel and the Palestinians. 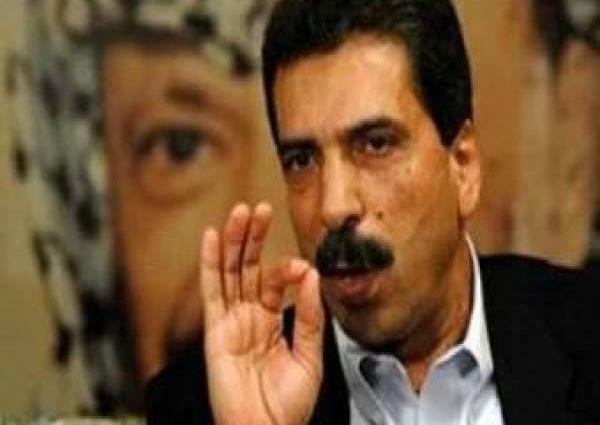 A member of the Fatah Central Committee, Tawfiq Tirawi, said that the movement will never lay down their arms until achieving the Palestinian National goals, which includes ending the Israeli occupation. 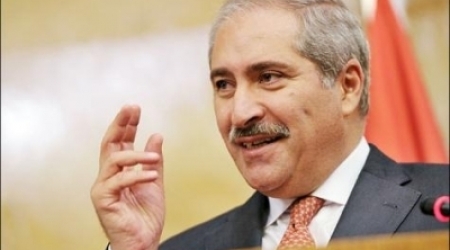 Tirawi stressed that Fatah wants to reach a comprehensive and just peace that would lead to an independent Palestinian state, adding that Fatah used different types of resistance, including the armed and the popular, as well as negotiations and diplomatic work in the United Nations, in order to achieve these goals. Tirawi said during a meeting for the Fatah movement that was held in Bethlehem to honor military retirees that the late President Yasser Arafat didn't give in to the U.S. and Israeli pressure at Camp David 2. Tirawi said in response to the Israeli Justice Minister Tzipi Livni, who said that the Palestinian president will pay the price if he refuses the framework agreement prepared by the U.S. Secretary of State John Kerry, that President Abbas is ready to pay any price in order to keep the national rights of the Palestinians and not to surrender. He added that former Fateh members and leaders, including Yasser Arafat, have died without giving in to any pressure from Israel and the United States. Tirawi stressed that the Palestinian National Liberation Movement -Fatah was able to identify methods of struggle and to sacrifice along with Palestine Liberation Organization faction. He added that his movement suffered many conspiracies but they all failed. Tirawi called retired military personnel of Fatah to work for the movement and said that the Libyan leader Omar Mukhtar fought the Italian colonization when he was 70 years old. Israeli Minister Naftali Bennet rejected a proposal on Monday by Palestinian President Mahmoud Abbas concerning the presence of US-led NATO troops to ensure Israel's security in a Palestinian State. 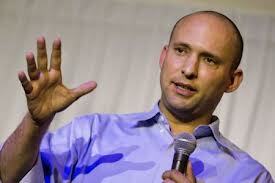 The Jerusalem Post reports Bennet saying "I heard about a new start-up: NATO forces guarding Israelis. We have seen in the past that when it is calm they are there, but when things heat up, they run away." He went on to use the example of southern Lebanon following the Second Lebanon War is a clear demonstration of this. He stated that there were some 100,000 missiles in south Lebanon despite the mandate of UN peacekeepers in the area to keep missiles out of the region in accordance with UN Resolution 1701. He argued against having outside security forces involved, stating that "only the IDF will guard our kids. To any other parent, we say, no thanks." 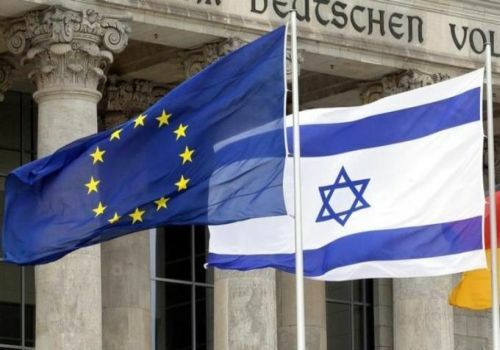 The European Union's ambassador to Israel has warned Israel that it would likely endure "increasing isolation" if peace talks with the Palestinians collapse, The Associated Press reported. Lars Faaborg-Andersen told Israel's channel 2 TV Monday that such a scenario wouldn't necessarily be a result of European policy, but rather the actions of private companies. Anderson said that the EU can't stop the decisions of the private companies to boycott Israel, adding that a number of the European companies and banks decided to boycott Israel and cut trade with firms involved in West Bank and Jerusalem settlements. 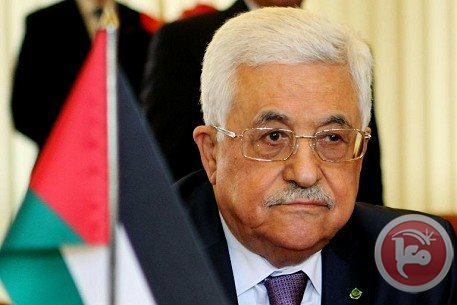 The Central Committee of the Fateh Movement of Palestinian President, Mahmoud Abbas, stated that there can be no peace with Tel Aviv without an independent Palestinian State, with east Jerusalem as its capital. 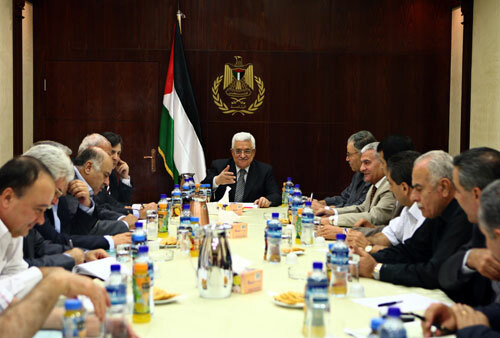 The Central Committee held a meeting headed by Abbas, in the central West Bank city of Ramallah on Monday evening, and discussed the latest developments in the region, including Israel’s escalating violations. 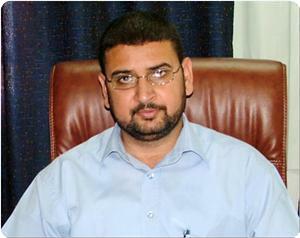 Central Committee member and its spokesperson, Nabil Abu Rodeina, stated that the Palestinian people and their leadership reject any initiative or agreement that does not guarantee the Right of Return of the Palestinian refugees, and the establishment of an independent Palestinian State, with East Jerusalem as its capital. He added that the committee affirmed the important role of nonviolent, popular resistance, against Israel’s illegitimate settlements and its illegal Annexation Wall, and that establishing villages like the al-Awda and Ein Hijla, in the northern plains of the West Bank is part of ongoing nonviolent activities affirming the legitimate rights of the Palestinian in their homeland. Abu Rodeina further said that the committee affirmed its determination to achieve national unity, and end all internal divisions, and that the Hamas movement “is avoiding unity talks on core issues agreed upon in previous unity agreements”. 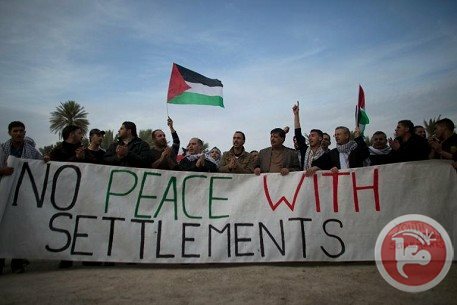 On Sunday at midnight, Israeli soldiers stormed and evacuated the village of Al-Awda, or "The Return", that was established by Palestinian activists in the Jordan Valley area, which is threatened with confiscation for the benefits of Israel’s illegal settlements. The soldiers violently stormed the village that was erected by several activists, and removed it after assaulting several activists and detaining six of them. PLO chief negotiator Saeb Erekat said a recent meeting with US Secretary of State John Kerry made no progress and a date for a framework agreement was yet to be set. Erekat said he held several meeting with Kerry in Washington, and the two discussed ways to push the peace process forward but there was nothing official to report so far. Kerry did not set a date for his next visit to the region or a date to present the framework agreement. Kerry met with Erekat in Washington last week, after meeting with Israeli negotiator Tzipi Livni. “Until this moment and after the Quartet meeting which was held on Saturday in Munich, Kerry did not present anything written or official,” Erekat said. Israel has decided to build over 10,000 settler homes, demolished over 219 Palestinian homes and killed over 40 Palestinians since restarting peace talks last July, Erekat noted. He said that Israel should be held accountable by the international community, and not just condemned and denounced. 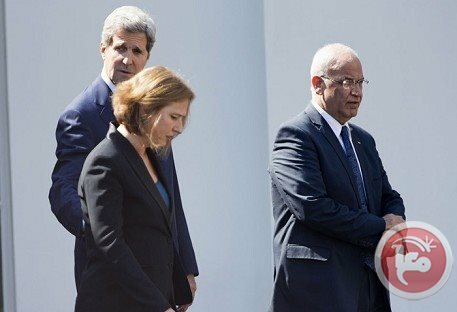 After meeting Kerry in Washington, Erekat flew to Munich for a symposium about the Middle East peace process at which he had a heated argument with Livni. Erekat explained that the reason for the argument was her insistence that Palestinians must recognize Israel as a Jewish state. “I told her in front of the whole world that we will not change our history, our religion or our civilization,” Erekat said. “We are the lawful sons of Palestine; we will not accept Israel as a Jewish state”. “Livni accused us of not wanting peace, and I told her that Israel is racist against Palestinians in ways that did not happen in South Africa. The world should rise against this racist regime, hold it accountable and punish it,” he added. Erekat said that discussions in Munich focused on the requirements of the Israeli-Palestinian conflict and the two-state solution. He also rejected connecting the release of veteran Palestinian prisoners from Israeli jails to signing a framework agreement. YNet News reported Sunday afternoon that new information has been leaked from the latest peace talks that speak of the US suggesting that Palestinians get areas of Negev in return for settlement blocs. The offer is meant to satisfy West Bank Arab leaders, who will be expected to give up the notion of having a right of return. The UN Partition Plan in 1947 for a Jewish and Arab state offered Jews settlements around the Israel area, which included areas in Negev. Recently, in an attempt to guarantee success of the peace talks, the American administration has decided to put Negev back on the table, this time offering it to the Palestinians. According to this plan, Palestinian refugees will be sent to areas of the Negev desert, which will be goverened by the Palestinian Authority, but they will be expected to give up their idea of having the right of return implemented into any peace deal. Parameters of the deal will allow Jewish settlers to remain in their homes in the West Bank in exhange for Israel giving up large areas of Negev in return to the Palestinians. YNet News reports that the deal will also include security arrangements that will govern the formation of a buffer-zone between Jordan and the West Bank with new fences, sensors and remote piloted vehicles, which will be footed by the US as part of their donation to enforcing the peace deal. Additionally, talks are focusing on compensation for Palestinian refugees from 1948, and for the first time, talks also include compensation for Jews who were forced to leave their homes in Arab nations on the eve of Israel's formation. Government officials have praised the plan to redistribute land in Negev as brilliant, imagining that it will lessen the cries for compensation from Palestinian refugees, and anticipate programs in the framework agreement to focus on creating peace-oriented educational program for Palestinians youths. 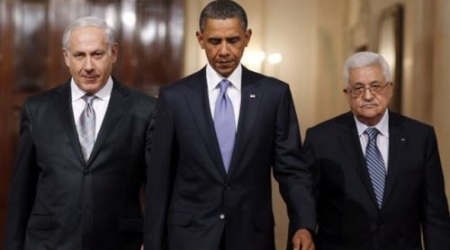 The Americans want the peace deal completed by the end of 2014. The Israeli author of the book "The General’s Son: Journey of an Israeli in Palestine" called on the Palestinians to renounce the peace talks which he said brought nothing but more losses on them and further gains for the Israelis. 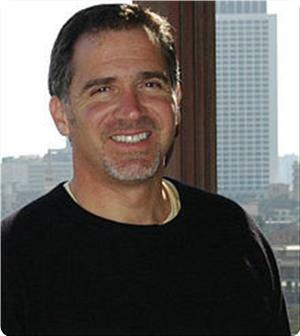 In a symposium organized on Sunday by the scientific library in Ramallah, Miko Peled, the author of the book, stated that the history teaches humanity that the strong party never makes concessions voluntarily, but it must be pressured by all means to make it do so. Peled expressed his belief that the Palestinians are undoubtedly the rightful owners of the land and the Israeli story upon which he was raised was a lie. The Israeli author said that he was told during the time of his upbringing and early education that the wars that had been waged by Israel were only in self-defense, but now he is fully aware of the fact that these lies led to continual ethnic cleansing and mass killings. Peled also stressed that he does not consider Israel a democratic state because it discriminates against the Palestinians and ignores them, although they constitute more than half of its population. 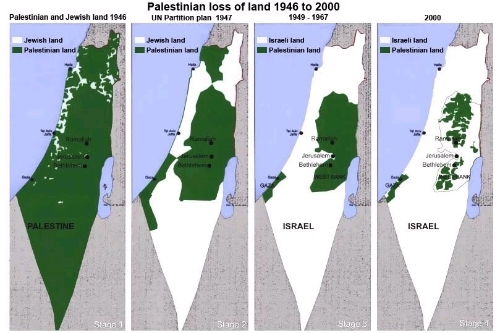 He affirmed that the Palestinian Nakba (catastrophe) that occurred in 1948 is ongoing because the killing of Palestinians, their displacement, the demolition of their homes and many other violations that had happened to them at the time are still there. President Abbas has proposed that US-led NATO forces be stationed indefinitely in a future Palestinian state, according to an interview with the New York Times on Sunday. Speaking about security arrangements from Ramallah, Abbas said a NATO force could be positioned at all borders, checkpoints and within Jerusalem for a "long time" after Israeli military forces eventually withdraw from the occupied territories. "The third party can stay. 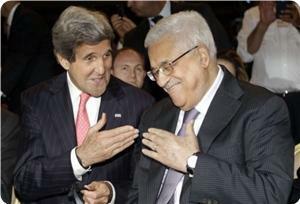 They can stay to reassure the Israelis, and to protect us," Abbas told the NYT. The president said that Israeli military forces could remain in the West Bank for up to five years and the removal of illegal settlers should be phased out according to a similar timetable. Abbas insisted that the future Palestinian state would be demilitarized with only a police force. The president said recognizing Israel as a Jewish state was "out of the question" and insisted that the PLO will temporarily refrain from joining any UN agencies. "If I don't get my rights, now put your foot in my shoe — what should I do?" he added, referring to possible future action. Peace talks between Israel and the Palestinians were relaunched in July under the auspices of the US after nearly a three year impasse. Israeli officials have insisted that the PLO recognize Israel as a "Jewish state" and have also refused to remove military forces and settlers from the Jordan Valley, which forms a third of the occupied West Bank. Israel has occupied the West Bank and Gaza Strip since 1967 and moved hundreds of thousands of settlers into the occupied territories in contravention of international law. Jordan’s Foreign Minister Nasser Judeh said on Sunday that Jordan is against recognizing Israel as a Jewish state and Jordan will not be an alternative home for Palestinians. Speaking during a parliament session which dealt with U.S. Secretary of State John Kerry’s peace plan, Judeh reiterated that Jordan will not be an "alternative home for anybody." He stressed " There are no formulas or U.S. documents written to solve the Arab-Israeli conflict, but a frame work agreement,” noting that” it is up to Palestinians and Israelis to singe it or not." "Jordan is integrally involved in and has big role in the Palestinian-Israeli talks," he added. Judeh stressed that Jordan is not absent from the peace negotiations and will not accept any solution that contradicts with the country’s interests and national security. "Jordan will not negotiate on behalf of Palestinians regarding their envisioned state’s borders with Israel," Judeh added. Judeh described American efforts to push peace talks between Israel and the Palestinian Authority (PA) as a "serious attempt" to reach tangible results. Martin Indyk, U.S. Special Envoy for Israeli-Palestinian Negotiations revealed on Friday that Secretary of State John Kerry’s framework agreement would address compensation for Palestinian refugees but did not mention any thing about Palestinian refugees' right of return . Explaining the security arrangement for the border between Jordan and the West Bank, Indyk said a new security zone would be created, with new fences, sensors and unmanned aerial vehicles. Kerry's peace plan ,which will be presented within weeks, involving semi cancel of Palestinians refugee's right of return which means transferring the problem into Jordan which half of its population are of Palestinian origin and 15% of them do not hold the Jordanian citizenship.